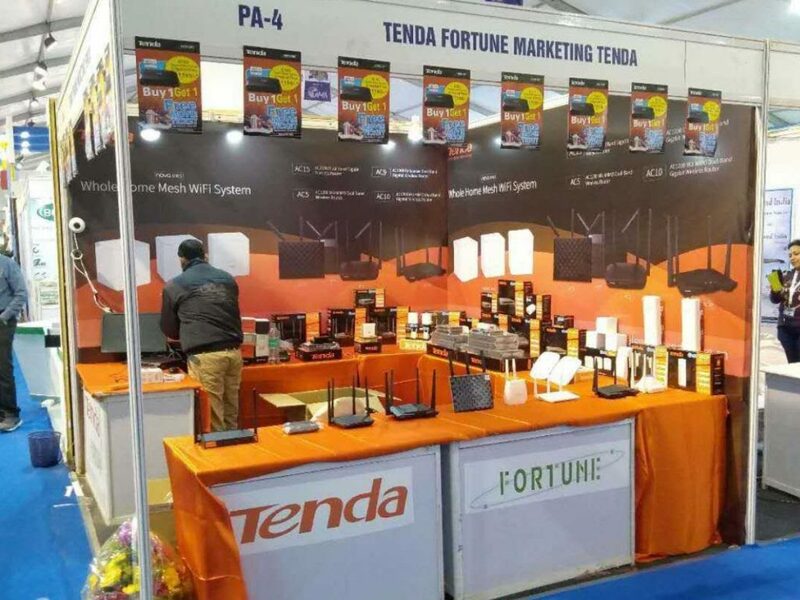 Tenda, a leading supplier and manufacturer of networking devices and equipment, along with its national distributor Fortune Marketing presented a raft of innovative networking solutions at the 22nd Annual Cable TV Show 2019 which was organized by CTMA at Science City, Kolkata from 9th to 11th January 2019. Tenda received an excellent response during the event which was a huge success according to Mr. John Dong, Director, Tenda India, who was present throughout the event. Tenda made sure not to waste such an opportunity and hence flaunted some of their best products during the event which included the mesh duos Nova MW3 and Nova MW6 that caught a lot of interest due to rise in smart home technology and the requirement of a wider Wi-Fi network, the Tenda O1 and O3, outdoor/indoor CPEs for people who were looking for lift security solutions, point-to-point outdoor data transmission and wireless security setup, the Tenda I9, a 300mbps wireless access point available at a very affordable price point, the PoE switches with their 250-meter transmission and 6KV lightning protection, the W15E hotspot load balance router for people interested in public Wi-Fi zones, and last not the least the smart dual-band Wi-Fi routers, AC5 and AC10 that support 2.4GHz and 5GHz band which allows people to enjoy smoother and faster network connections. The Cable TV Show 2019 was an excellent as well as an appropriate platform where all the existing and prospective manufacturers/vendors came face to face with the CATV service providers like MSOs, LMO/LCOs, Broadcasters, Traders/Dealers, etc. to expand their market or create a new market. This annual SHOW attracted more than 10,000 trade visitors during its 3-day SHOW. All the major national MSOs along with the regional MSOs also put up their pavilions to showcase their service potential and new services. For more information about Tenda, please visit https://tendacn.com/in/.